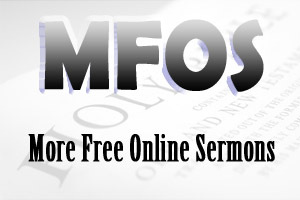 Bible Sermons From Genesis 22 provide an inductive sermon from Genesis 22:1-19. This sermon challenges Christians to put God first in all things. Bible Sermons From Genesis 22 present an inductive sermon from the narrative in Genesis 22:1-19 where God tested Abraham's faithfulness. In fact, Abraham past the test with flying colors. 1. What happens when your stability in life is shattered? I mean, what happens when an incident comes into your life (it may not be your doing) and that incident totally turns your life upside down? What do we do? To whom do we go? How do we react when our stability in life is shattered? Tom & Cheryl were high school sweethearts. Their love for one another eventually led to marriage. After they were married, Tom started training as a Top Gun pilot in the Navy. During that time, they had two wonderful children--Jennifer and Tommy Jr.
After twelve years in the Navy, Tom decided it was time to do something else. So he became an airline pilot for American Airlines. Their life together was wonderful and complete. Jennifer said, “Tom was a great husband and father.” Every day he would sit at the kitchen table, reading his Bible and praying. Tom would play catch with Tommy Jr. for hours in the back yard. Every day the two of them would play ping-pong after dinner. Both Tom and Jennifer enjoyed talking about anything and everything. It seemed that their marriage was made in heaven. However, all of that would change by one single event. Cheryl McGuinness’ life was turned upside when she discovered that her husband of 18 years would not be coming home again. Tom McGuinness was the co-pilot of American Airlines Flight 11, the first plane to smash into the World Trade Centre. What do you do when your stability in life is shattered like that? How do you react when your life is totally turned upside down? This was the real thing for Cheryl and her two children. Her stability was totally shattered by her husband’s death. What would she do? How would she react? 2. Abraham’s stability in life was shattered by one request (22:1-2). A request made by God Himself. A request that would be his greatest challenge! What a request! Do you think Abraham’s stability in life was shattered? Put yourself in Abraham’s shoes just for a moment. Twice his wife had been ripped away from his grasp. His nephew had separated from him. He had engaged in warfare to rescue Lot when he was taken hostage, risking his own life in the process. Famine had driven him out of Canaan, the land God had promised him. After many years of being childless, he gets a son, Ishmael. But because of family tensions, he is forced to send that precious boy away into the desert. All he had left now was Isaac. But at least he had Isaac and God’s promise that through Isaac, Abraham’s family would become a source of blessing for the entire world. Now, in the twilight of life, it seems he had the opportunity of a few years of peace and quiet. Finally, he would be able to relax and enjoy life with his son (Isaac). But that would not be the case. In fact, no sooner was he resting when God hit him with the greatest challenge of his life. I guarantee you, that request shattered Abraham’s stability in life. It would have turned his life upside down. 3. And yet, Abraham obeyed immediately the request (22:3-8). He obeyed immediately with no questions asked...that’s amazing! That’s truly amazing! We see here in these verses that Abraham obeyed immediately, but he had three days on the road to think about it. I know the Bible doesn’t reveal any particular thoughts of Abraham, but I am sure his mind was very active over those three days. Now, while they were walking, “Isaac spoke to Abraham his father and said, ‘My father!’ And he said, ‘Here I am, my son.’ And he said, ‘Look, the fire and the wood, but where is the lamb for a burnt offering?’ And Abraham said, ‘My son, God will provide for Himself the lamb for a burnt offering.’” And the two of them continued walking together. “And the two of them went together.” How significant are those words! Abraham, in light of Isaac’s question, continued to obey God’s request with full intention of doing what God had commanded. If there was ever a time to turn back, if there was ever a time to make an excuse, it was now. It was now. He could have easily said to Isaac, “Look, you’re right. There is no sacrifice. Let’s go back.” But he didn’t turn back, he didn’t make an excuse (let’s face it, he could have many excuses); instead, he continued walking with Isaac to the place of worship. In many ways, Abraham had resolved in his heart to obey God’s request regardless of repercussions. You know, the crux of God’s testing of Abraham is right here in these verses. Would Abraham put God first in his life? Would anything or anyone come between Abraham and God? Would God mean more to Abraham than even Isaac his son? If there was ever a test that demonstrated one’s loyalty, this was the test. Put yourself in the situation! Abraham and Sarah waited so long for Isaac, and now he was to give him back to the Lord as a sacrifice. That must have been one of the most difficult moments in Abraham’s life. What would he do? How would you react? In light of all this, I don’t believe God wanted Isaac slain (human sacrifice was an abomination to God; see Deut. 18:10), but I do believe that God wanted Abraham to declare his loyalty to Him. In many ways, this test asked Abraham: do you love Isaac more than God? Would Isaac come between Abraham’s worship of God? It is important to realize in this test that God did not ask Abraham to love his son less but to love God more, to put God first in his life. This is the crux of God’s testing of Abraham. Abraham put God first in his life even before his son, Isaac. Abraham’s resolve to put God first in his life (His willingness to hold back nothing from God) led to God providing just what he needed...a ram caught in the thicket. It was the very thing needed. Nothing else at that time would have sufficed. God intervened and provided the needed sacrifice. In light of Abraham’s resolve to put God first, God not only provided for Abraham’s need (a ram), but also blessed him greatly in other areas. Putting God first is only the beginning of great blessings. You know, we all want to be greatly blessed (I don’t believe there is a soul her today who doesn’t want to greatly blessed), but I don’t know if we all want to put God first. Will you put God first this morning? Will you follow in the footsteps of Abraham and put God first in your life? If you put God first, it may seem a sacrifice, but you will be greatly blessed. God will bless you and your family.